We're delighted to announce the addition of four new products to the Eternal Youth range, continuing its tradition of transforming and celebrating women’s skin at every stage of life. Our brand ambassador, Anna Bamford has been a fan of the brand for many years having first been introduced to it by her mother, Nancy. My mum taught me about the importance of taking care of my skin from a young age, something I have always been very thankful to her for. Make mum’s Mother’s Day this year with a limited edition Dr. LeWinn’s Gift Set. Available in three different styles, each set containing a selection of luxurious skincare products. Skincare basics are simply not enough – it’s time to get informed and take control of your skin. 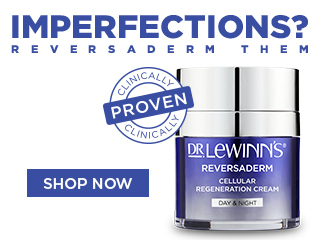 Lacklustre winter skin will be long forgotten as the skin’s radiance, hydration, firmness, elasticity is improved with Dr. LeWinn's Ultra R4 range.